Anti-bullying week 2015 has just past us by as I write this review, but when it comes to showing how we can help our kids build on their self confidence and resilience in the face of adversity or bullying, as far as I am concerned, EVERY week is an anti-bullying week. With this in mind the following review looks into a confidence building methodology from Jack Cherry Ltd – an organisation which promotes materials geared towards inspiring kids. 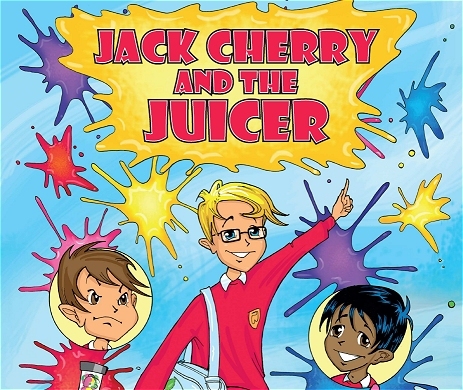 Jack Cherry is a fictional young character who, in a moment of realisation, discovers that rotten fruit going into a juicer creates rotten juice, and this is comparable to how thinking about bad things facilitates the creation of bad feelings. It is important to note with clarity the separation of bad thoughts (and the events which create them) from bad feelings, which are two completely different things. With an overall objective of using good thoughts as an aid to suppressing bad feelings and creating good feelings, we are taught through the material that by eliminating bad thoughts and replacing them with good thoughts, we can experience a better sense of **feeling** about ourselves and our situation. a) BAD THOUGHTS IN THE MIND/BRAIN (FROM EXTERNAL FACTORS CAUSING THOUGHTS, OR BAD MEMORIES OR THOUGHTS THEMSELVES) = BAD FEELINGS. b) ROTTEN FRUITS IN THE JUICER = BAD JUICE. c) GOOD THOUGHTS IN THE MIND/BRAIN (FROM EXTERNAL FACTORS CAUSING THOUGHTS, OR GOOD MEMORIES OR THOUGHTS THEMSELVES) = GOOD FEELINGS. d) FRESH FRUITS IN THE JUICER = GREAT JUICE TO DRINK. The latest material released by Jack Cherry Ltd has been created to demonstrate the above as an aid to understanding the separation of the Mind, Thoughts, Feelings. 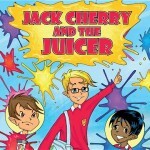 It is a short comic titled “Jack Cherry and the Juicer”. It is not always an easy task getting children to understand and acknowledge the (important) difference between thoughts and feelings. By introducing the concept through a story which is based in a school setting, children can more easily match their own experiences to the learning material and quickly relate to the lesson being taught. Once the concept is understood – children can mentally visualise experiences and thoughts such as being called names, being bullied or bad memories (causing insecurity, fear, sadness respectively) going into their mind in the same way as rotten fruits go into a juicer. Once they realise that the bad feeling or sensation they are experiencing is being caused by the mind acting like a juicer, they can counter the feelings and build self confidence by thinking good thoughts and recalling happy memories to allow their mind to create a better sense of feeling. They can associate a good fruit with a good feeling – such as a “happy apple”. The comic gets this across pictorially and with the inclusion of both environmentally “child associated” factors such as school, assembly, teachers, parents, class bully and also currently relevant and interesting items – such as Vouchers, Playstation and of course – not forgetting the Juicer! An interactive video presentation is also available whereby Simon talks the viewers (children) through the concepts using his own experiences and those from children attending school presentations he has made. The video encourages children to participate by talking and also drawing pictures and writing sentences in order to help grow their understanding of how to deal with bad feelings such as those which may arise from an instance of bullying or name calling. I trialed the video and the comic on both of my boys (aged 6 and 9) and both attained a good understanding of the meaning behind the Juicer and both of them enjoyed participating by drawing fruits and writing sentences when directed to do so by the video. I can’t fault the comic or the video, and on top of this, an activity pack is also available containing questions, dot to dots, examples, word search and much more – all aimed at teaching the kids how to feel good even when the situation they are in might be described as “difficult”. Jack Cherry and the Juicer. Material aimed at making kids feel great.